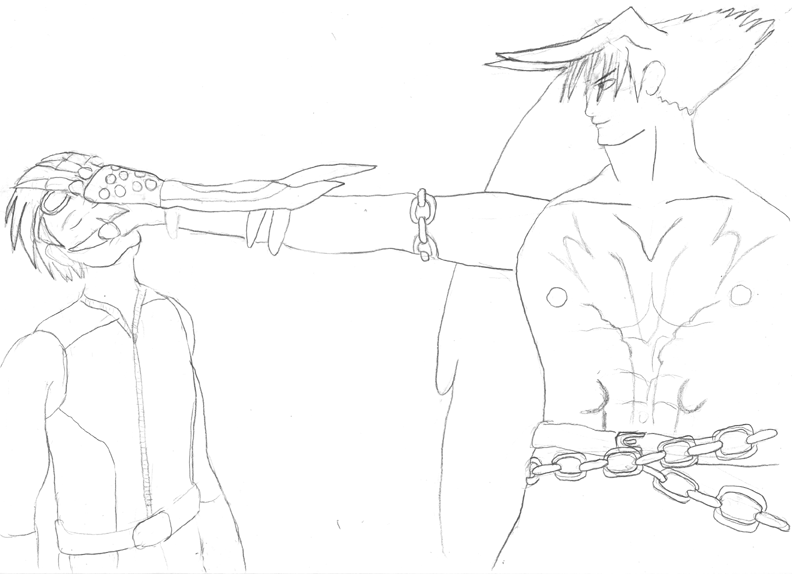 A sketch of Devil Jin holding Hwoarang by the face. The image is based off a screenshot from Devil Jin's Tekken 5 ending where he's holding Jinpachi. Since Hwoarang is more pleasing for me to look at, he's the victim instead of Jinpachi. Mwahahahaha!